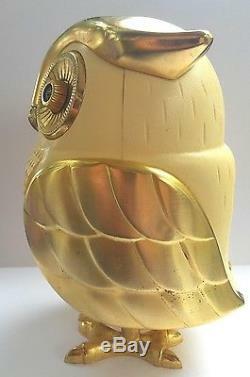 Listing is for a 1960 gold and off white antique owl transistor radio with multicolored crystal knobs eyes which also controls the volume and on/off switch. 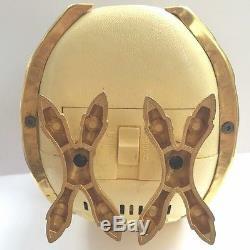 The battery compartment is on the under belly and has a slide mechanism which opens the cover to the polarized snap connector for a 9-volt battery. 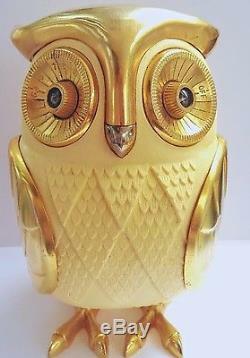 The owl's claw feet are attached to the cover. 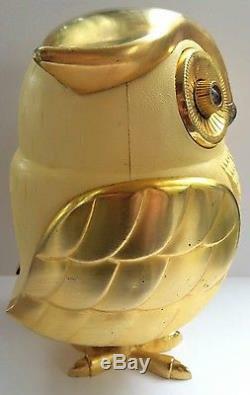 While contemplating listing the owl radio, and looking at the eyes, I felt bad like it was saying, are you really going to sell me? It is crazy how things become a n attachment, and you don't even. Know it, until faced with a situation. 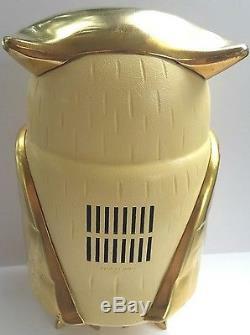 The item "Antique Owl Motive Transistor Radio/Japan/Vintage Old 1960 Eames Era Panton/Bubo" is in sale since Friday, August 11, 2017. This item is in the category "Consumer Electronics\Vintage Electronics\Vintage Audio & Video\Vintage Radios". The seller is "tradebabetrim" and is located in Middle River, Maryland.